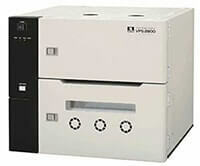 A Preparative Gas Chromatograph system can collect the target compounds which were separated by Gas Chromatography. 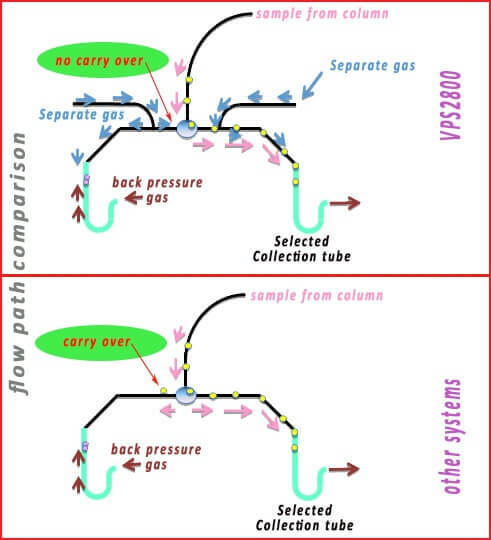 The VPS2800 GC fraction collector is designed to work with capillary columns and gives high recovery and pure fractionation. It is possible to collect just a part of a peak, one peak or a group of peaks with the GC fraction collector. The preparative gc collection tube is available in two versions, a glass and a metal version. The minimum trapping temperature of -60°C is achieved with a Stirling cooling technique that is standard available in the VPS2800 GC fraction collector. With the easy to operate software, you just select a peak in the chromatogram or set a time window in order to collect a peak. 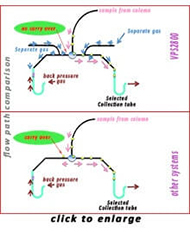 After collection, the components of interest can be transferred to other analysis techniques like NMR or UV/VIS or be used for reanalysis on GCMS.